I would give this King’s Quest reboot a try, but not until summer, when grades are submitted and conference papers are given and such. King’s Quest has me excited for the future of adventure games. Until I sat down for a demo of The Odd Gentlemen’s modern take on the 30-year-old series, I didn’t know I was unexcited for the future of adventure games. 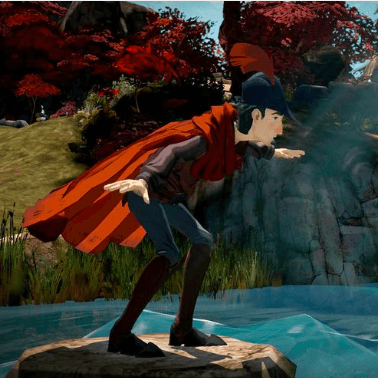 But as I watched designer Matt Korba walk a gangly King Graham through a hand-painted forest, red cape billowing around him, and got a look at some simple puzzles and King’s Quest-style death scenes, I realized why I’m suddenly excited for this game and what it seems to be shooting for. It’s an 80s or 90s adventure game in spirit, with charm and puzzles and funny dialogue, but updated to tell its story with the gaming technology of 2015. — PC Gamer. 17 Mar 2015 in Culture, Cyberculture, Games, Media.